No matter what reason bring you in triathlon, one thing is for sure, we all run towards that shiny piece of bling that awaits us at the finish line. The medal is not only a certification of finishing the race, but also a souvenir shows the amount of your training, sacrifice, and dedication that you put in. The main idea of this medal comes from Đông Sơn drums, the bronze drums fabricated by the Đông Sơn culture in the Red River Delta of northern Vietnam. Đông Sơn drums were apparently both musical instruments and cult objects. The patterns on drums bear a realistic style and show stilted houses, dancing people, people pounding rice, beating drums and sailing, together with animal and birds. The scenes depict the daily life of ancient Viet and reflect the artistic talent and mind. The drums were used as musical instruments in festivals, such as prayers for rain, for good harvest and rituals, such as weddings and funerals, as well as the command in the army. 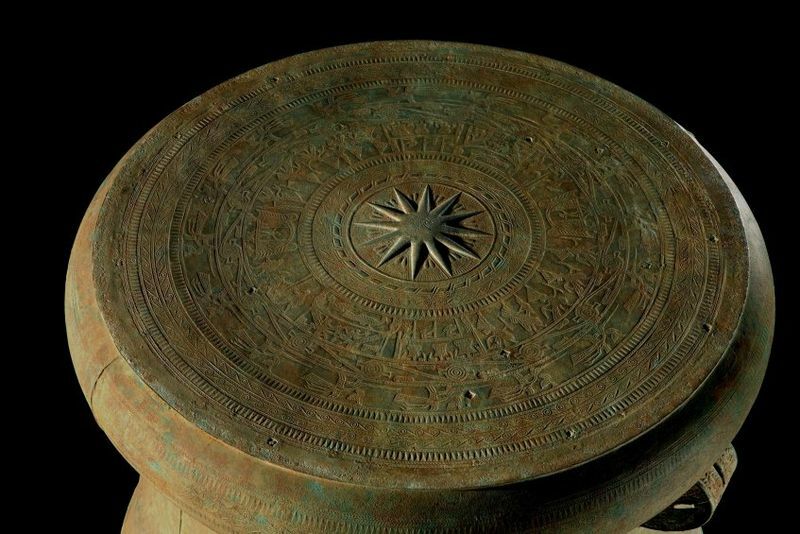 They were also used as funerary objects and symbol of the power of tribe leaders. The latter alludes to the importance of trade to the culture in which they were made, and the drums themselves became objects of trade and heirlooms. Whether you’re aiming for your first medal, your fiftieth, or to complete a collection, we understand the meaning behind your medallion. The one is given by Challenge Vietnam will be a symbol of what hard work and perseverance can accomplish to your kids and family someday. 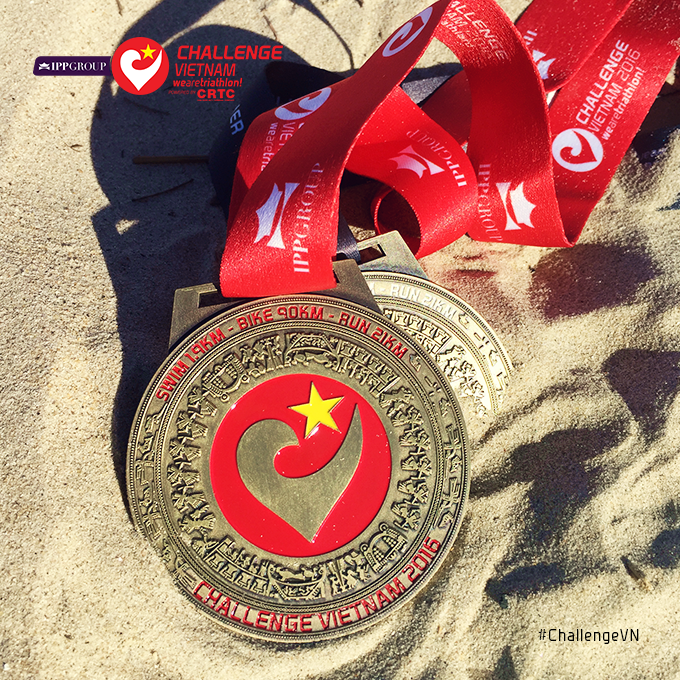 Besides, in the middle of the medal is the Challenge Family symbol combined with Vietnam national flag. Behind the Challenge Family logo, it stands for Vitality, Passion, Victory, and Inclusive, these four factors that every Challenge Family race aim to provide. Finally, in the strip, you can find the IPPGroup which also share these values of family, fitness and fun. This well-designed medal must be the best souvenir for your exciting journey in Vietnam!